Interested in Selling your Condo in Mystic Pointe? The waterfront luxury condo community of Mystic Pointe is located at the southeast corner of the Turnberry Isle Resort & Club on the Intracoastal Waterway directly off spectacular Country Club Drive. This beautiful location gives its residents local access to the Aventura Circle (Don Soffer Path) and Turnberry Isle Resort, as well as the New Downtown Aventura. The Mystic Pointe condo community includes six high-rise condominium towers designed by the acclaimed architectural firm of Sieger-Suarez. Each tower is located on the waterfront, providing breathtaking views of the Intracoastal on all sides, from almost every condo unit with many having gorgeous ocean views as well. With Mystic Pointe’s incredible bay-front location, spacious waterfront lots and beautiful architectural design, these properties have everything an Aventura condo seeker could want and more. Most residents of Mystic Pointe will enter the luxury community through the grand entrance off Turnberry Isles, providing a high level of security from side to side. Within the landscaped gardens of the Mystic Pointe grounds residents have access to six full-size lighted tennis courts, a waterfront jogging path, and a full service spa with personal trainers and massage relaxation specialists. In addition, the common areas include a local general store, bank, and post office for the convenience of all Mystic Pointe residents. The Don Soffer Path is just a stone throws away. Here residents enjoy biking, walking or running throughout the three miles of impressive surroundings including a magnificent manicured golf course full of trees, water, birds, ground lighting, benches and more. For boating enthusiasts, the Mystic Pointe luxury condo community also includes a private residents-only marina on the Intracoastal Waterway with direct access to the Atlantic Ocean. The entire compound of Mystic Pointe offers seven exclusive floor plans in a variety of one to five bedroom units ranging in size from 857 square feet to 1,722 square feet available for sale or for rent. These amazing and spacious residences have contemporary designs with balconies large enough to entertain guests. Gourmet kitchens with stainless steel appliances and master suites with walk-in closets and enticing baths are part of what makes these Aventura condos feel like homes in the sky. The lobbies have full-time security staff and 24 hour valet services. Mystic Pointe Towers have fitness centers, pools, recreation rooms and club houses. Condominiums on the north side of the buildings look out over the manicured grounds of the Turnberry Isle Resort across the Mystic Pointe Marina on a small inlet of the Intracoastal Waterway. On the southwest side of the buildings, condo owners enjoy waterfront views of Aventura’s new downtown area across the breathtaking waters of Dumbfounding Bay. And finally condominiums on the southeast side of the towers feature waterfront views of the Intracoastal Waterway and the Atlantic Ocean over a small strip of Golden Beach. The location, the views, the sophisticated luxury; all of what you’re looking for is right here at Mystic Pointe! 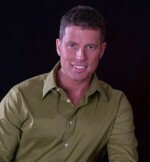 Steve Samuels is known as one of the premier Condo & Real Estate brokers in the Aventura South Florida market. His negotiation skills, market knowledge and no-nonsense, results-driven approach has made him one of the most sought after luxury condominium and single family waterfront realtors from Miami to Palm Beach County. CondosandCondos.com is one of the Leading Miami Real Estate websites where you can find Condos for Sale or Rental. Search for Luxury Condos in Miami, Miami Beach, South Beach, Sunny Isles, Hallandale, Key Biscayne, Bal Harbour, Fisher Island, Coral Gables, and all of South Florida. Mystic Pointe Condos for Sale Aventura. Intracoastal & Waterfront Aventura Condos for Sale. Search MLS Listings 2 bedroom 3 bedroom Luxury Condos for Sale in Aventura.